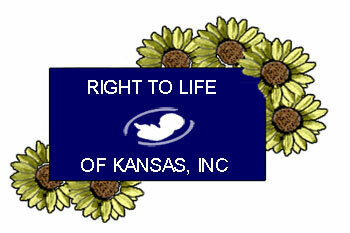 § In vitro fertilization (IVF) violates personhood rights in a number of ways. First of all, commonplace practices involved with IVF are selective fetal killing and the deliberate killing of "extra" embryonic children in fertility and research facilities: http://www.ncbi.nlm.nih.gov/pubmed/16360491 and http://www.lifeissues.net/writers/osh/osh_08deadonarrival.html. § This deliberate killing is clearly violating the God-given, equal, and unalienable right to life of each of these children. What, however, are we to think of IVF wherein fertilization is attempted for only one or two oocytes at a time? Does this violate anyone's personhood rights? Indeed it does and in more ways than one. § Proponents of IVF try to liken this death toll to the estimated 20-31% of miscarriages that occur with natural conception. There is, however, a huge difference in that God, from whom human rights flow, ordained the natural processes in which miscarriages unavoidably occur but has never commanded artificial processes: http://www.all.org/article/index/id/MjkwOA/. § Additionally, the incidence of birth defects among IVF children is markedly higher than among naturally conceived children: http://www.lifesitenews.com/news/archive/ldn/2010/jun/10061406, http://humrep.oxfordjournals.org/content/20/2/328.full?sid=7b1b859d-69b1-447d-80dc-515402ec067d, and http://news.bbc.co.uk/2/hi/health/2662079.stm. § Again, it is one thing for a child to develop a defect during procreation the way God designed it and something altogether different when the child’s affliction involves manmade fashions. § Finally, at the head of all this trampling upon the rights of the children, there is the intrinsic problem that each IVF conception substitutes laboratory reproductive processes for the marital act of procreation and thereby violates the right of the child to an origin consistent with his or her dignity as a human person: http://www.lifeissues.net/writers/bru/bru_38artificialreproduction.html. § In summary, in vitro fertilization in every instance violates the unalienable rights of the children it produces and undermines the rights of all members of society.